Uggs is an Australian shoe company that has become well known for its boots. These classic styles have become a world wide sensation and a go-to brand for boots. With various options for women, men, and children, there's an UGG boot just for you as well as other footwear. With Big Apple Buddy’s personal shopping service, you can now buy direct from the Uggs online store anytime, anywhere. Stay fashionable during the winter with the Short Sheepskin Cuff Boot from the Ugg collection. This cozy boot is stylish but also warm for those below freezing days when you don't want to leave your home. The Mongolian sheepskin is guaranteed to be soft and durable so you can keep these cute boots even longer! You can combine these black boots with anything and still look comfortable and chic. For a more classic style, the Classic Unlined Mini Leather is a must-have! This popular style of the Ugg collection allows you to have a relaxed look while the high quality material is works for any occasion. You won't be any more comfortable than with these boots and you'll want to show them off everywhere! There's a color and style out there for you in this classic collection. 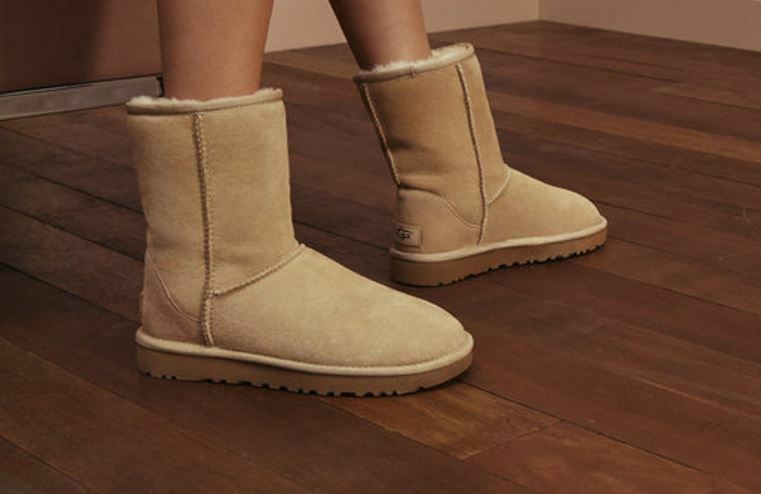 The Ugg collection has a shoe for every season! 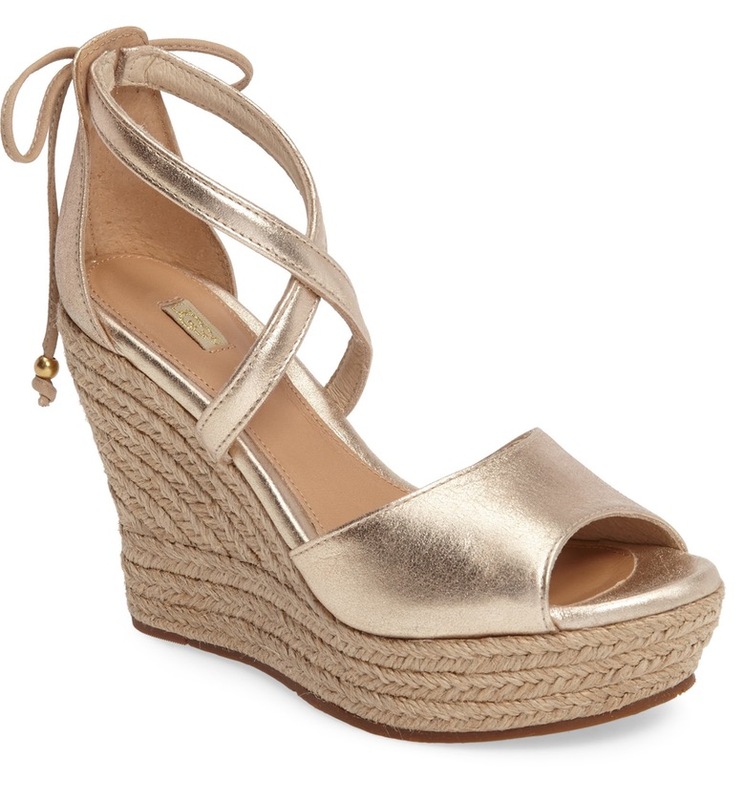 Don't miss out on the Reagan wedge sandals as the weather gets hotter and you need the perfect shoes. They're also the ideal heel size so you get that extra boost but stay comfortable while walking around. Wear them with a dress, jeans, or shorts - these wedges are meant to mix up and spice up your outfit no matter what occasion you need them for! Unfortunately, the USA Uggs online store does not currently offer international shipping. However, Big Apple Buddy, your personal shopper, can help you buy products direct from the official USA Uggs online store and ship them to your doorstep, no matter where you are in the world. We offer international shipping to over 190 countries including Australia, Austria, Bahrain, Belgium, Bosnia & Herzegovnia, Brazil, Brunei, Canada, China, Croatia, Cyprus, Denmark, Estonia, Finland, France, Germany, Hong Kong, Hungary, Indonesia, Ireland, Israel, Italy, Japan, Kenya, Kuwait, Lithuania, Macau, Malaysia, Maldives, Mexico, Namibia, Netherlands, New Zealand, Norway, Oman, Pakistan, Portugal, Saudi Arabia, Scotland, Serbia, Singapore, Slovenia, South Africa, South Korea, Spain, Sri Lanka, Sweden, Switzerland, Taiwan, Tanzania, Thailand, UAE, UK and Ukraine. If you would like to buy from the USA Uggs online store, simply let us know which items you would like to order (by filling out the form on the right) and we’ll get back to you with a free international shipping quote within 24 hours!